As thousands of Chicago residents are participating in this week’s Bike to Work Week, a one-year-old bike-sharing program is gearing up for expansion to ride that wave of interest. 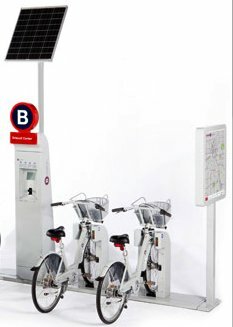 B-cycle, a bike-sharing program operated by Bike & Roll, a local bike rental and touring company, is installing two new automated bike stations on the Illinois Institute of Technology campus this month. The additions will bring the total number of stations to six and will boost the potential for more Chicagoans to hop on a bike, says Jeremy Rothschild, Bike & Roll’s director of marketing. The other stations are situated at various points along the lakefront or nearby, including Buckingham Fountain, the museum campus near the Field Museum and Shedd Aquarium, and at the Time-Life Building on Ohio Street. There are 100 bikes circulating among the unmanned kiosks. 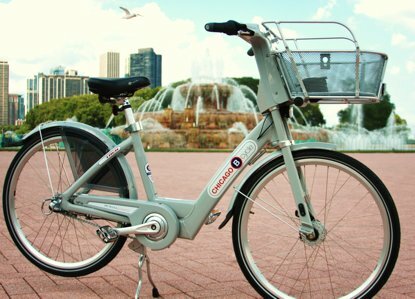 B-cycle’s growth is occurring just as Gabe Klein is coming onboard as Mayor Rahm Emanuel’s new transportation commissioner. Mr. Klein has a reputation for supporting urban biking initiatives. Before his move to Chicago, he was credited with turning the bike-sharing program in Washington, D.C., into the largest one in the country during his two-year stint as that city’s transportation director. The bike-sharing trend is growing in other U.S. cities, including Madison, Wis.; Denver and Boulder, Colo.; Des Moines, Iowa; Louisville, Ky., and San Antonio, Texas. 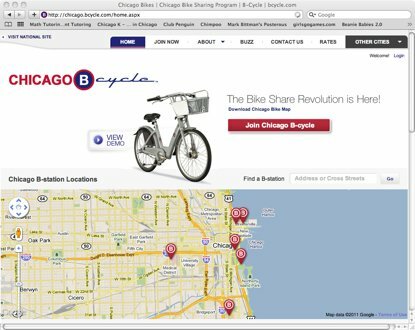 Chicago’s bike-sharing program is operated privately by Bike & Roll, a longtime Chicago bike rental firm. 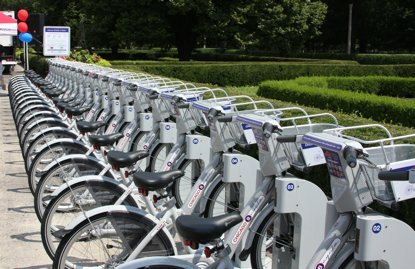 And while the city of Chicago isn’t yet a partner in its operation the way some other city programs are structured, the Chicago Park District extended the concession permit already in place with Bike & Roll’s existing rental business on its premises to include the new program, Mr. Rothschild says. The latest stations added to the roster are located at IIT’s McCormick Tribune Campus Center and just north of the Paul V. Galvin Library, both on the main campus at State Street. IIT students and anyone else nearby will have access to the bikes, which are locked up at an automated station and typically rented by users for up to two hours to run quick errands at relatively short distances. Crain’s met with Mr. Rothschild to learn more about the business of bike sharing. Crain’s: Can you briefly explain how someone would take one of these bikes for a spin? Mr. Rothschild: It’s an automated system, so a user could take a bike and pay for it per use or they could join with a membership. The membership includes the first hour free for each ride and begins at $35 for 30 days. On a per-use, it costs $10 for the first hour and $5 for each additional 30 minutes. There’s a student discount, too. They’ve got built-in locks so riders can stop somewhere and lock it up. The bikes have passive RF (radio frequency) ID and a GPS on it. If one disappeared, we could activate it to find it. The program has a green element because when riders have a membership, they get an estimate of their carbon dioxide emissions savings compared to using a car for the same distances traveled. Crain’s: Are you teaming up with the city of Chicago in any way to run or grow the program? Mr. Rothschild: The city has not given us any money, but we’re getting non-financial support with the permit extensions at our existing concessions. We see our work so far as a trial program that the city will hopefully give funding to expand it further in the future. We understand the city’s budget limitations, but we also know they’re very excited about this system. Crain’s: Why did you pick IIT as the spot to add new stations this summer? Mr. Rothschild: IIT is at the forefront of lots of green technology. They got it immediately and were interested in participating. Gang Green, the student-run sustainability club on campus, has been instrumental in making this happen at IIT. They have been getting the word out, and we expect they’ll help us promote it to get a big influx in the fall when more students will be on campus. Crain’s: Do you have plans to expand the program to other universities in Chicago? Mr. Rothschild: Not yet. We’re focusing on increasing usage this summer among the stations we already have. But every school in the city would be perfect for this sort of system. Students have distances to travel over the campuses, are more inclined to ride and are probably more casually dressed. But really, the bikes are designed so anyone can ride them, even in nicer clothing. They have tire guards in front and back, a robust chain guard and the baskets are designed to hold a briefcase. When the program first started, I rode around the city in a suit to prove that you could do it. Crain’s: Is Bike & Roll turning a profit yet with this new venture? Mr. Rothschild: The stations are capital intensive, so we have to grow the program slowly. I can’t share revenues, but B-cycle is not a pure-play business venture from a capitalistic standpoint. There’s a social element to this, so it’s not measured solely by profit. We really just want to encourage more people to ride bikes in the city. 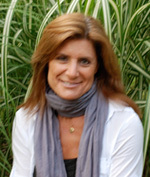 We’d also like to see more corporate support for this system. We have spoken to some companies about sponsorship and encouraging their employees to use it. Crain’s: How do you envision people traveling throughout the city to use this kind of program if it grows in a big way? Mr. Rothschild: This is great for what’s called the last mile. Say you live in Ravenswood and you take the train into the Loop. If there’s a bike station there, you can take a bike on that last mile to your office (if there’s another station for dropoff nearby). We’re not trying to replace the CTA, we’re trying to enhance it. Chicago is a very bikeable city, and the new mayor has stated a goal to make Chicago more bikeable. The more people that ride bikes in the city, the safer it is because vehicles get used to seeing them. Chicago is well on its way to getting there. There’s also 18.2 miles of car-free lakefront trails, and it’s a beautiful ride. This entry was posted in Green Scene and tagged B-cycle, bicycles, bikes, entrepreneurs, environment, green, GreenScene, transportation. Bookmark the permalink.